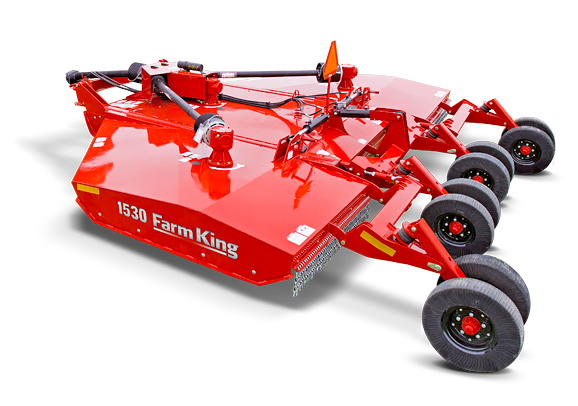 THE NEW FARM KING 1530 ROTARY CUTTER IS DESIGNED FOR THE TOUGHEST CUTTING JOBS IN HEAVY, THICK GRASS AND WEEDS. With a class-leading 7" blade overlap for a thorough cut and a working range of +/- 25°, this machine is ideal for cutting deep grassy ditches and trenches. There is a 5 year warranty on the gearbox.